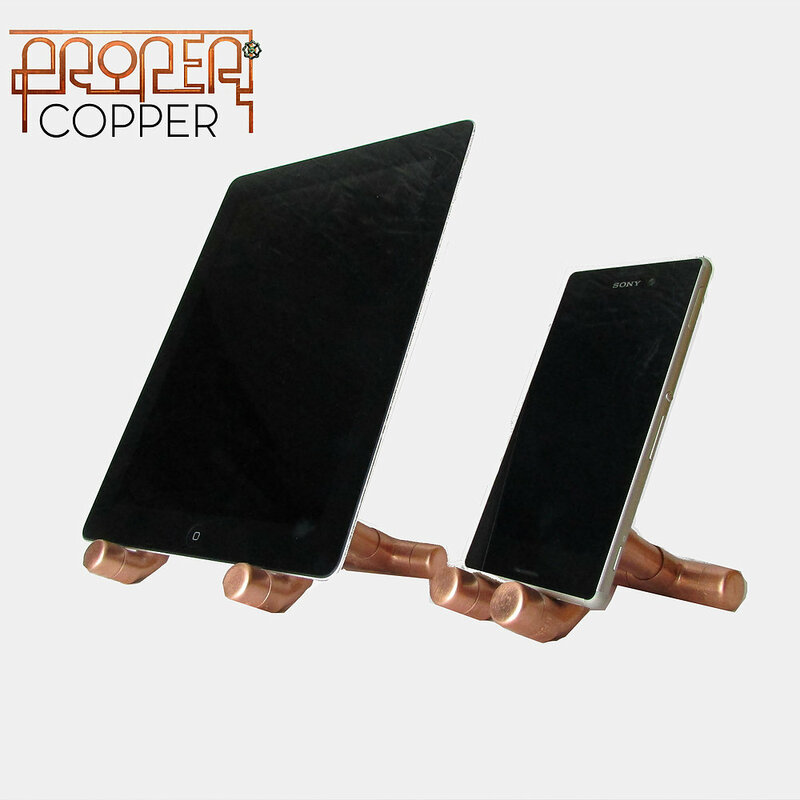 This Lean Back iPad Stand and matching make for a stunning and everlasting copper gift, perfect for your 7th anniversary (copper theme) or any truly special occasion. 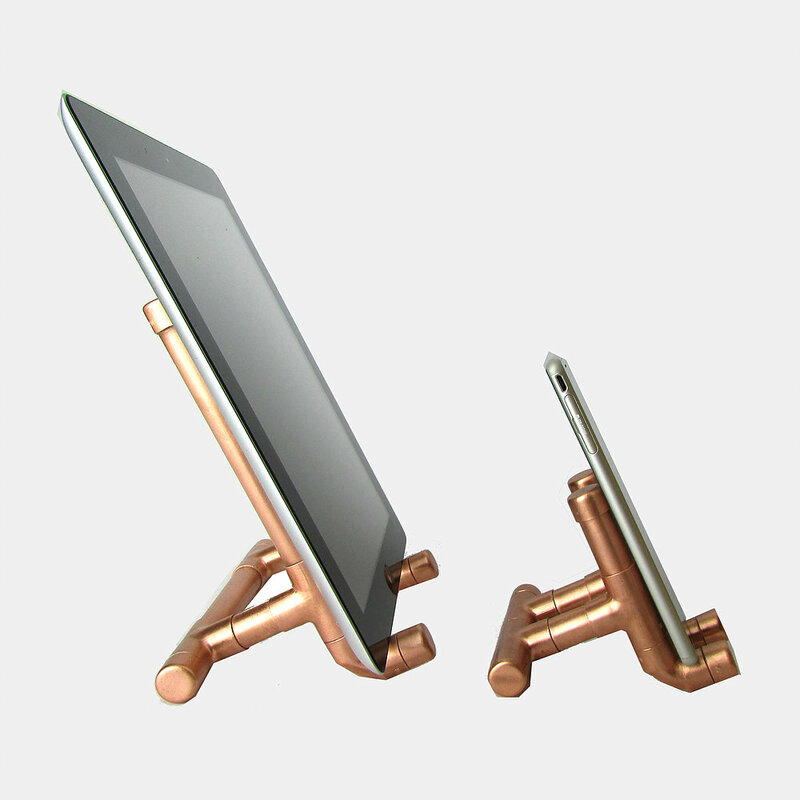 Each iPad and phone stand is individually handcrafted by our red smiths, and hand polished to extract the wonderful colours and glow of the copper. Why Copper? : Pure natural copper has a vast list of health benefits. 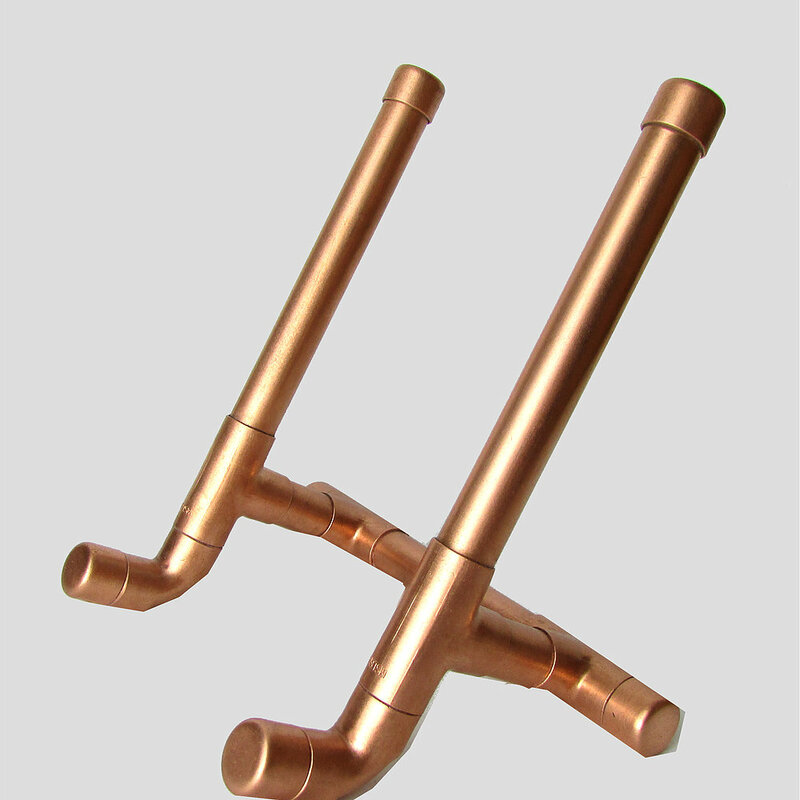 One of the most amazing facts about Copper is that it is a natural antimicrobial (antibacterial) material, which means that it kills 99.9% of all germs, viruses and bacteria within 1-2 hours of contact with its surfaces. It's also the traditional themed gift for 7th (Copper) Wedding Anniversaries. Your Copper iPad and Phone Set will be dispatched within 5 working days, delivery charge is £4.40.to all UK addresses. We will send you an email once your order has been dispatched.